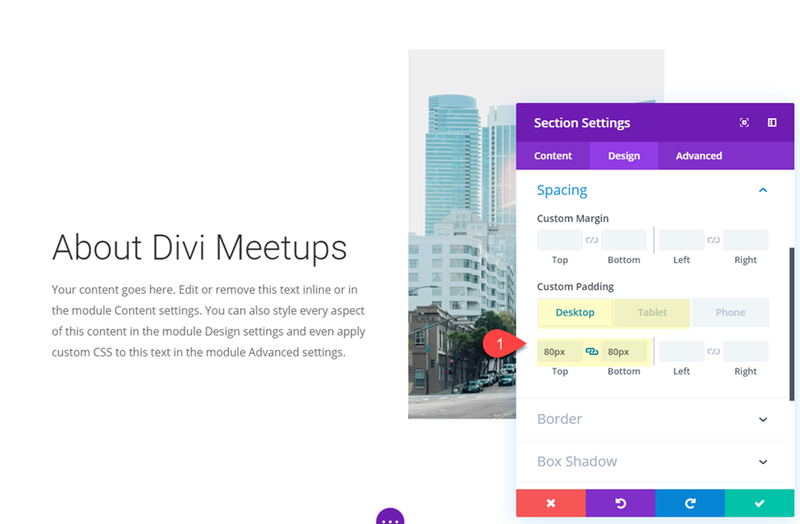 Divi’s built-in section divider styles have always been a popular (and simple) way to add creative background designs to your pages. 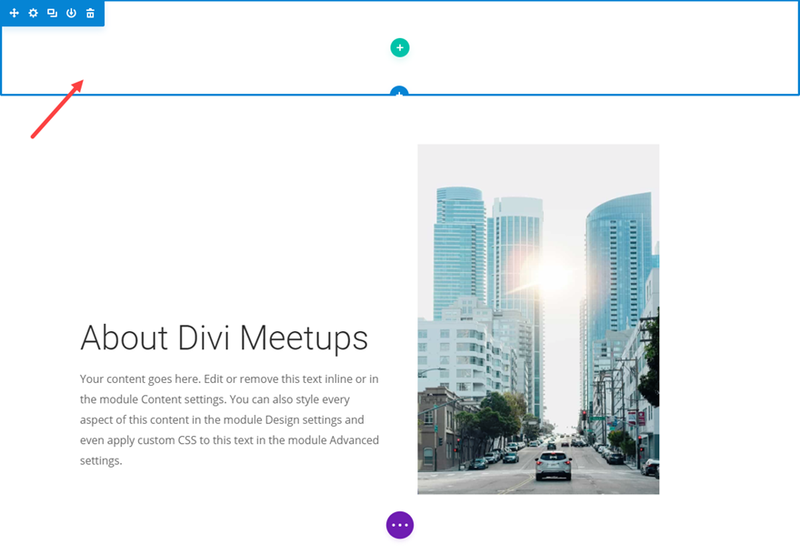 Not only does it provide a quick and beautiful way to break up page content, it can also add an abstract background texture to set your website apart. 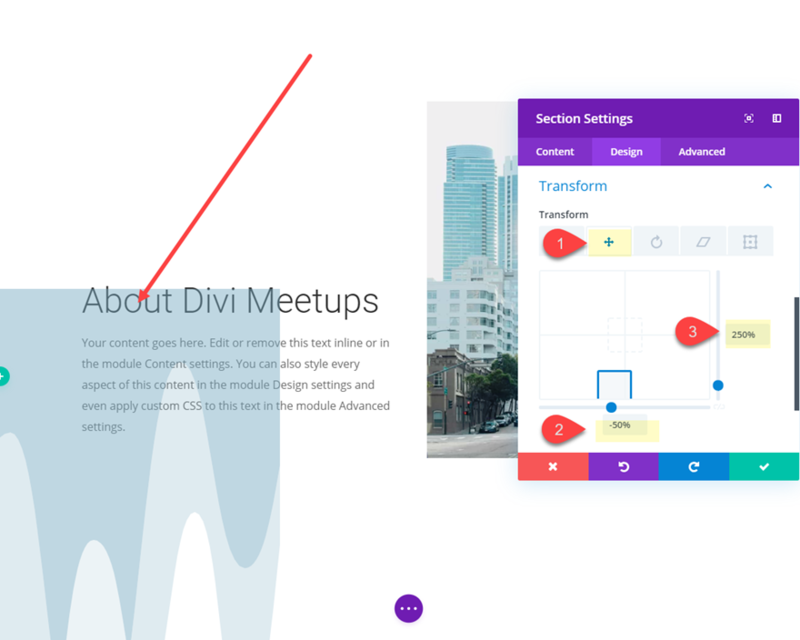 And with the release of Divi’s transform options, there are even more cool things you can do with those section dividers. 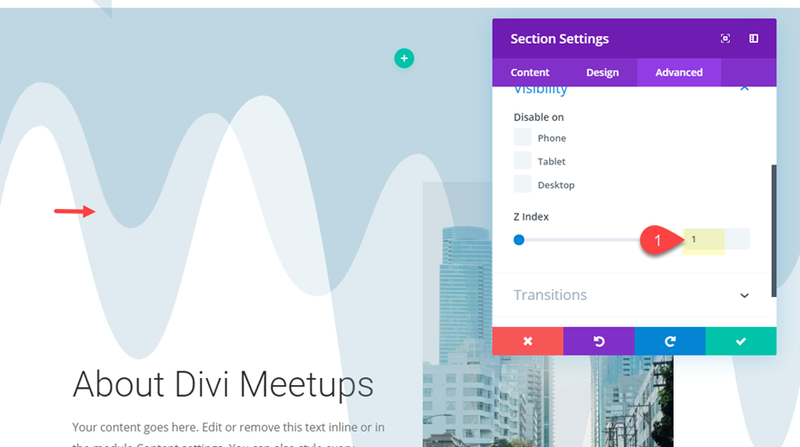 In this tutorial, I’m going to show you how to use transform options to design unique section divider backgrounds in Divi. Here is a sneak peek of the designs that you will be able to build in this tutorial. 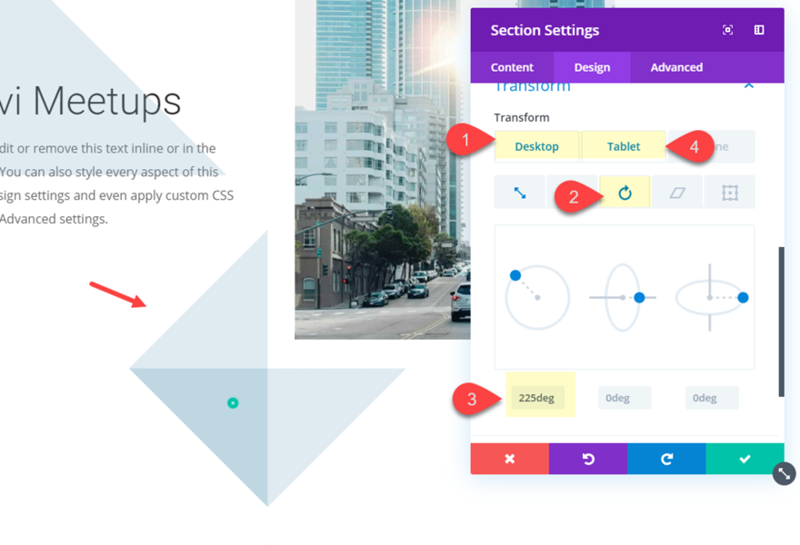 To lay your hands on these example section divider backgrounds, you will first need to download it using the button below. 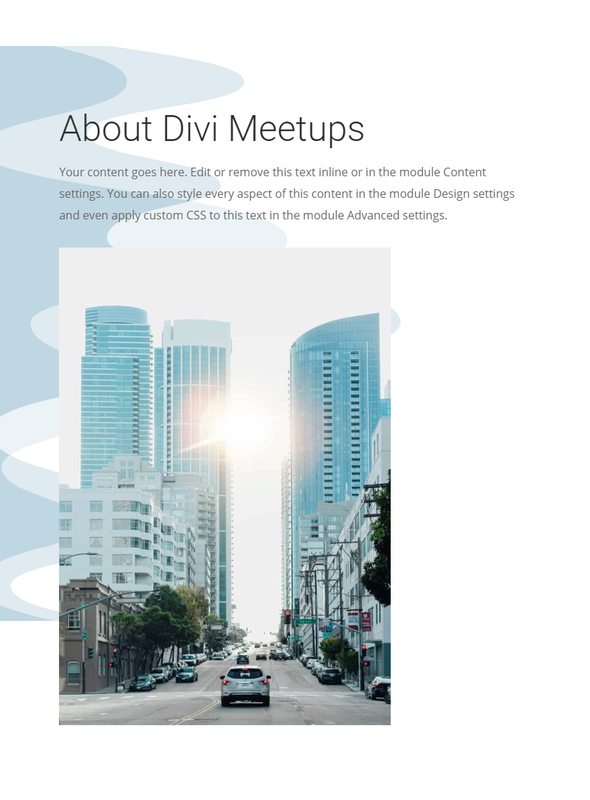 To gain access to the download you will need to subscribe to our Divi Daily email list by using the form below. 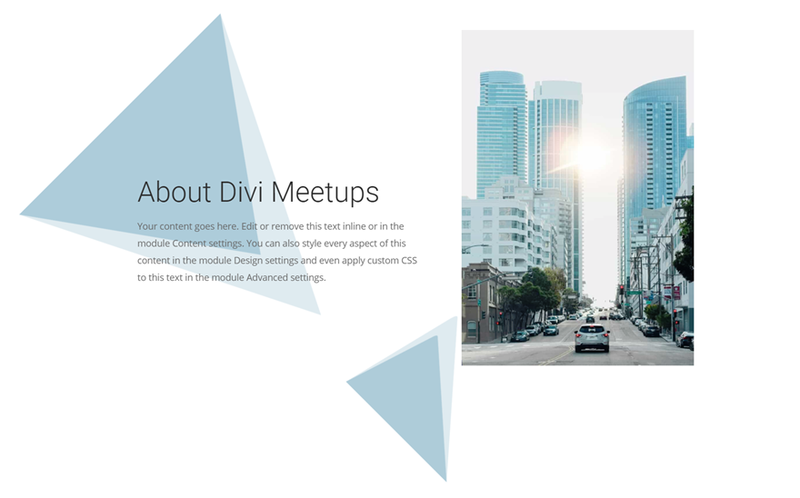 As a new subscriber, you will receive even more Divi goodness and a free Divi Layout pack every Monday! If you’re already on the list, simply enter your email address below and click download. You will not be “resubscribed” or receive extra emails. 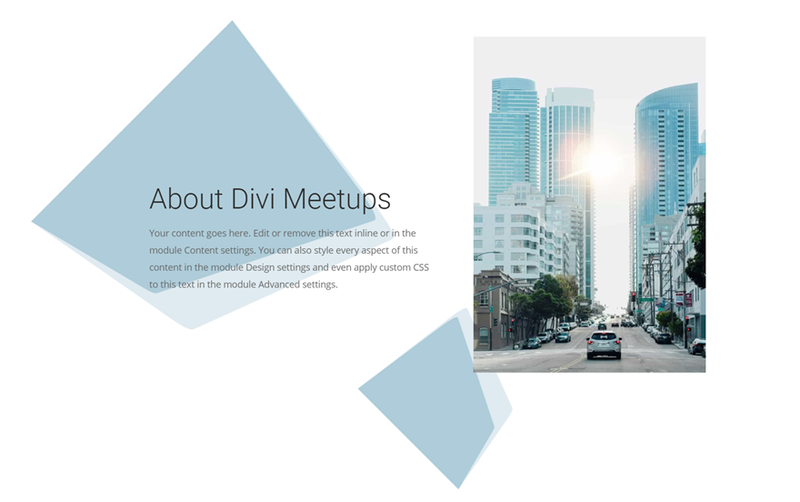 To get started with this tutorial, all you need is the Divi Theme and an image to use for the example content. We will be building the design from scratch. 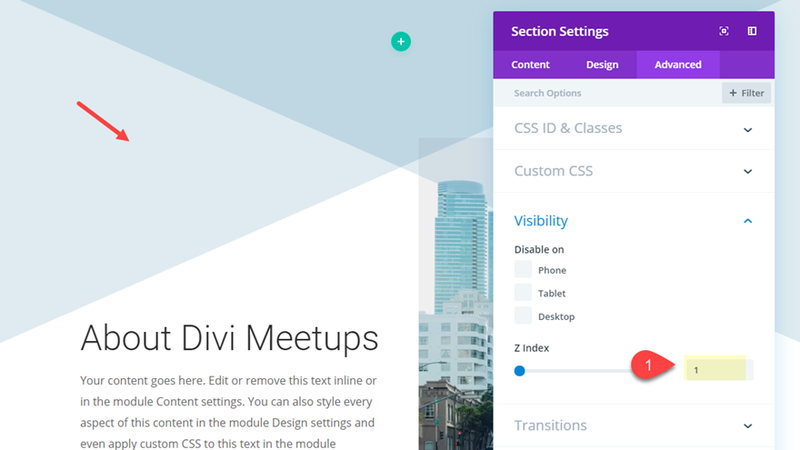 All you need to do is create a new page and deploy the Divi builder on the front end. Then you are ready to go. 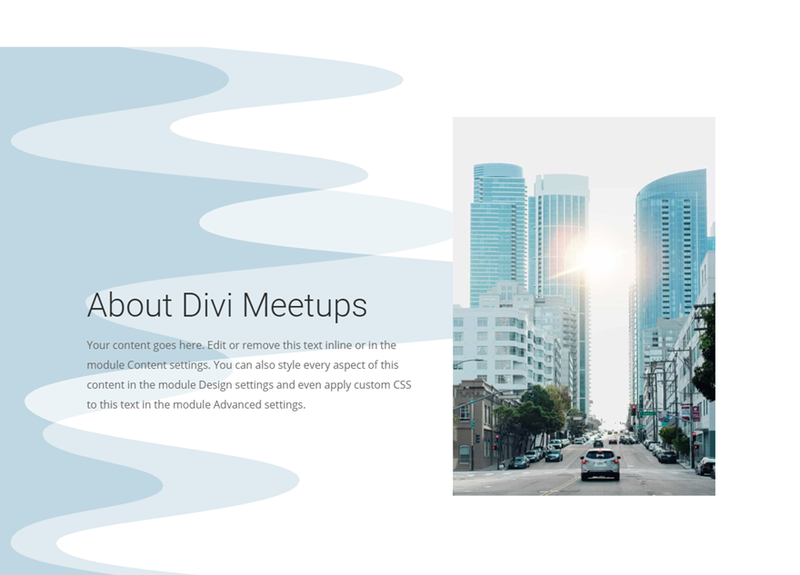 This first example is a really cool way to create some abstract shape backgrounds for your content. 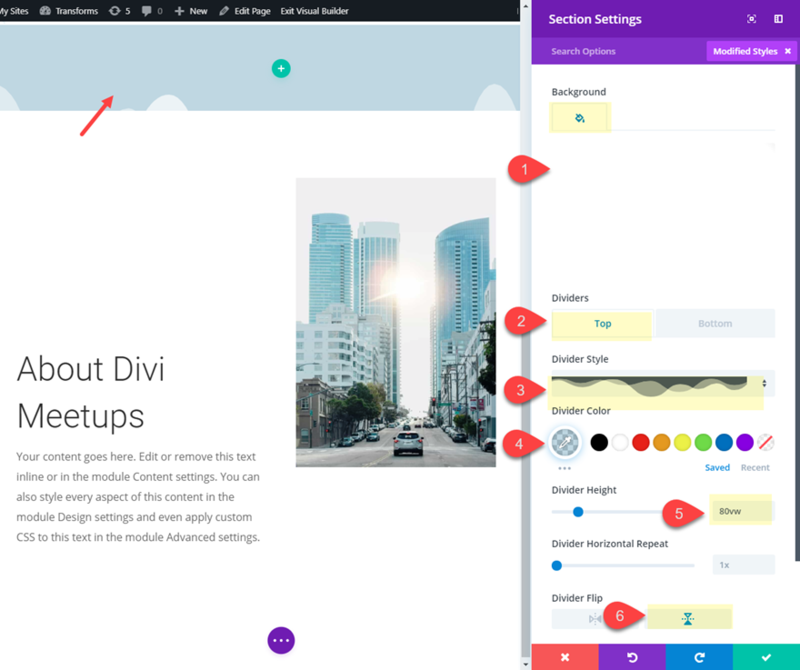 Basically, this involves customizing an empty section with a divider and positioning that section divider anywhere on the page behind other content. 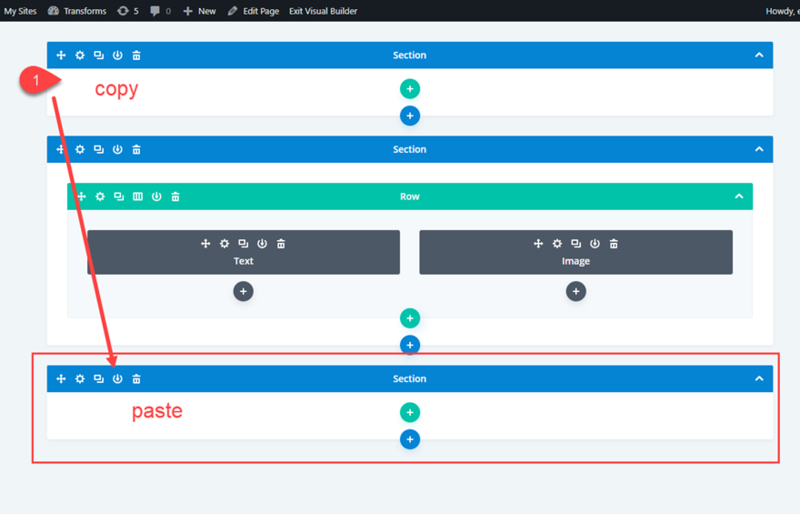 Before we start adding our section dividers to our page, let’s first add some example content. 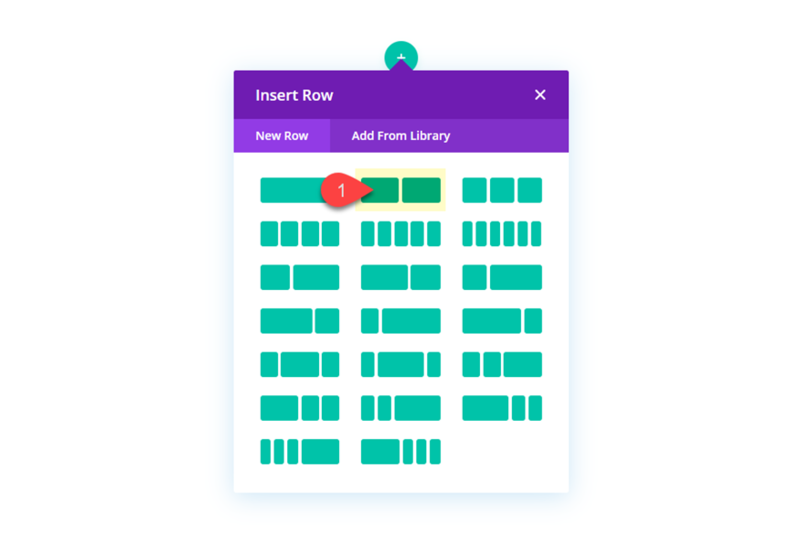 Create a new regular section with a two-column row. 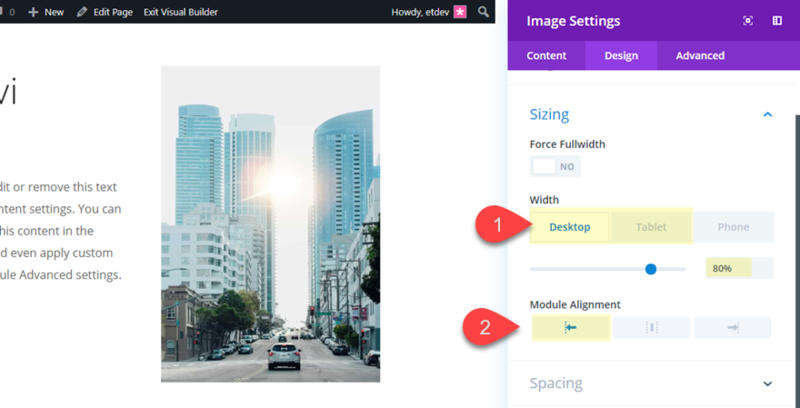 Next add an image module to column 2 and upload the image you want to display. 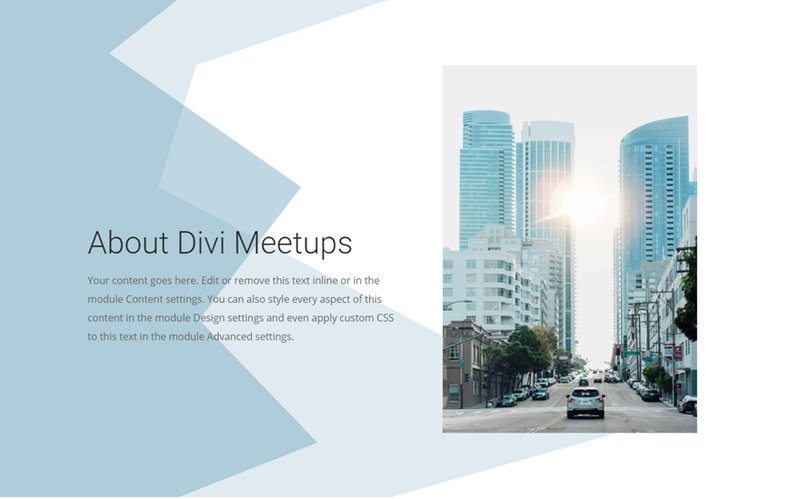 In this example I’m using an image from one of our layout packs that is 800px by 1156px. At this point, we are ready to add our first section divider design. To do this we need to create a new section. 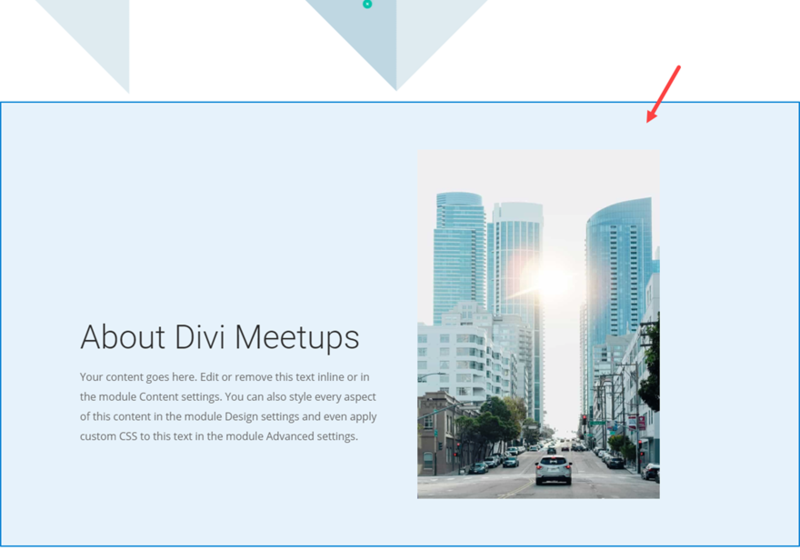 So go ahead and create a new regular section (don’t add a column to the section because we won’t need one) and drag it above the section containing our text and image. Next, go to the advanced tab and set the Z Index value to 1 so that it will stay above the section below it. 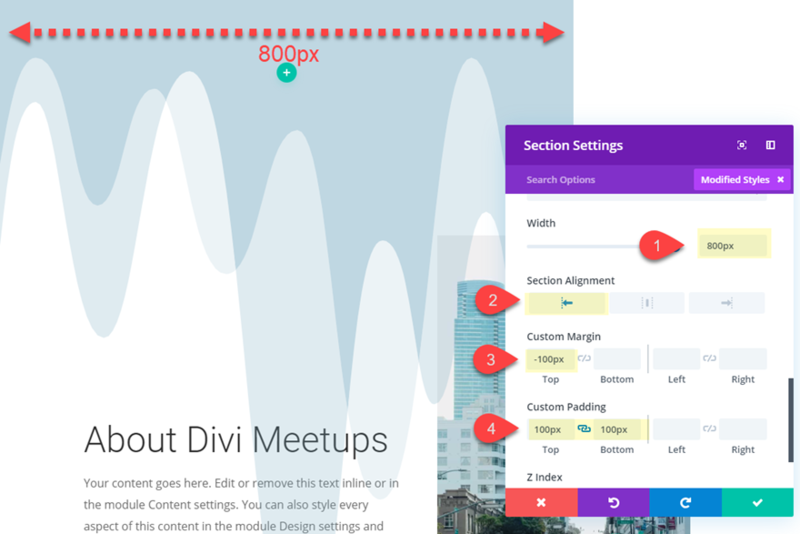 Note that the width equals the height of the divider we added earlier (500px for desktop, 400px for tablet, and 320px for phone). This will give us a perfectly square design for our section divider. 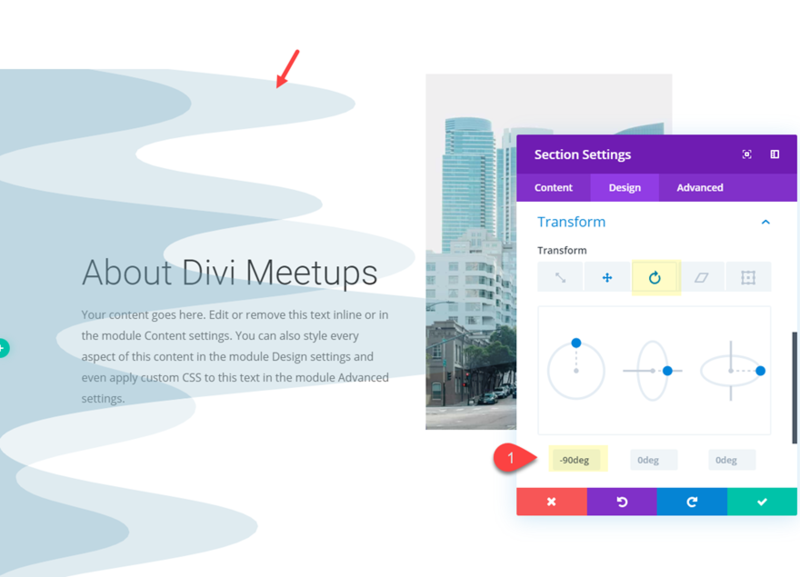 It is also important to shrink the width and divider height to adjust for tablet and phone because if you don’t the section will skew and break the design or cause overflow on the browser viewport. The custom padding is just to give the section some height so that we don’t have to adjust the transform translate values as much later on. 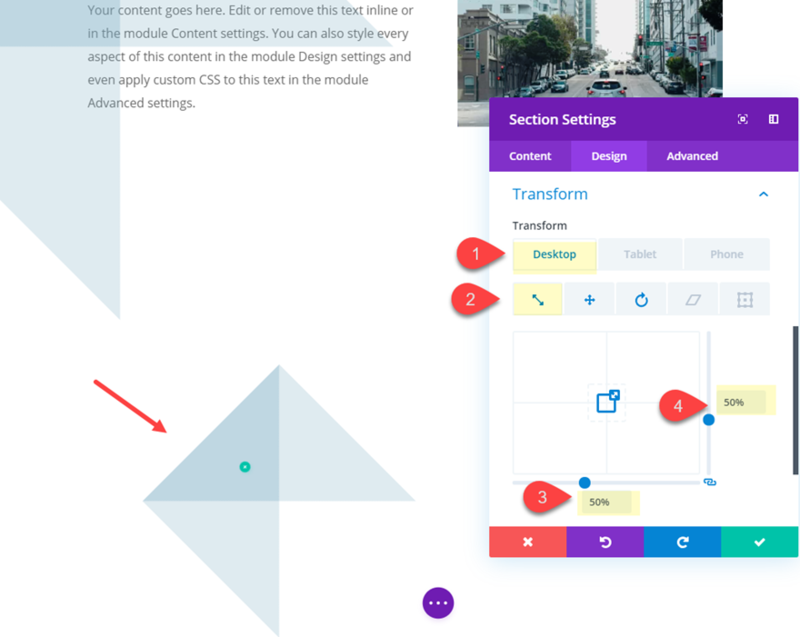 Now that we have our section design in place, we can use the transform options to position and rotate the section divider wherever we want it on the page. 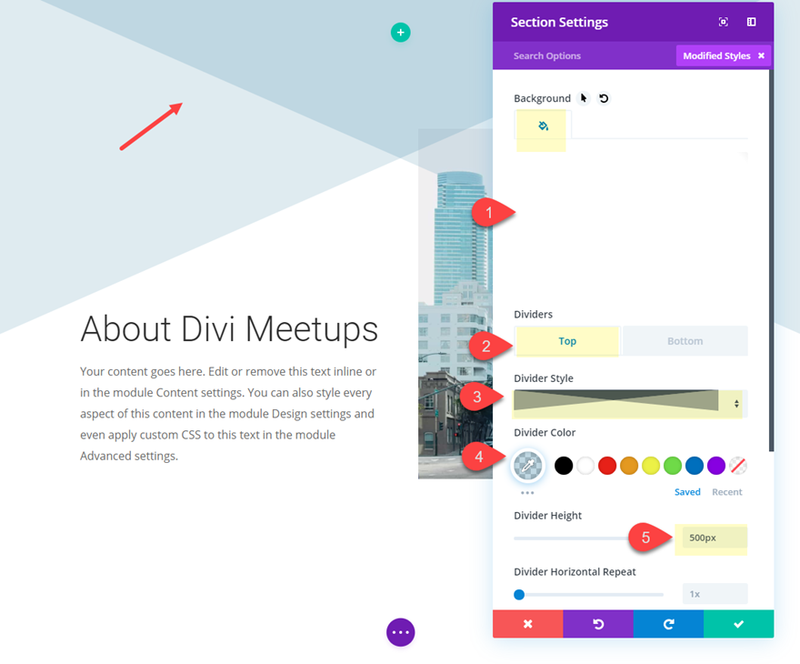 We are going to add one more section divider design to the page. 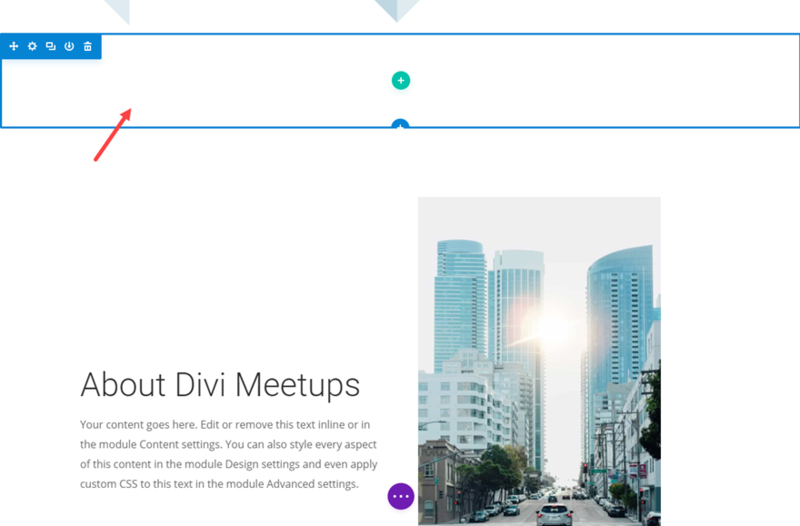 But to get a head start on the design, deploy the wireframe view mode and copy the top section (with the section divider style) and paste it below the section containing the text and image. Let’s check out the final result. Notice how the sections are repositioned on tablet and phone for a beautiful design. And here are a few examples of different Divider Styles using the same layout. Feel free to experiment with different styles and rotations of your own. 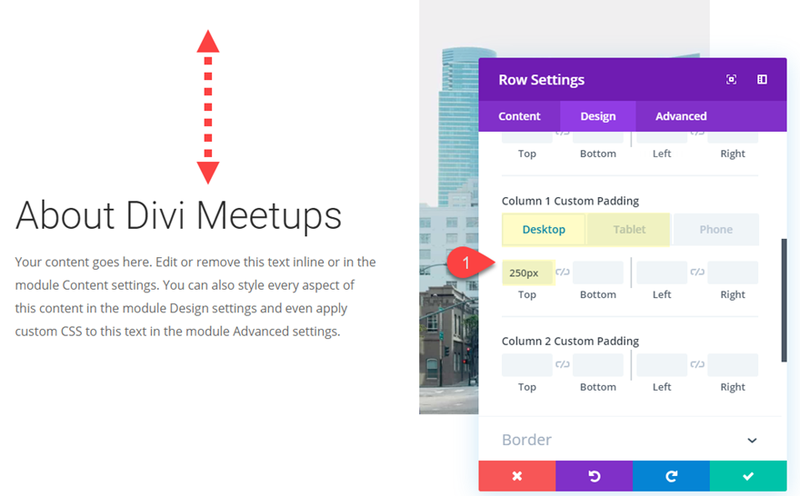 Divi’s transform options also allow us to rotate section dividers to create horizontal section divider designs. 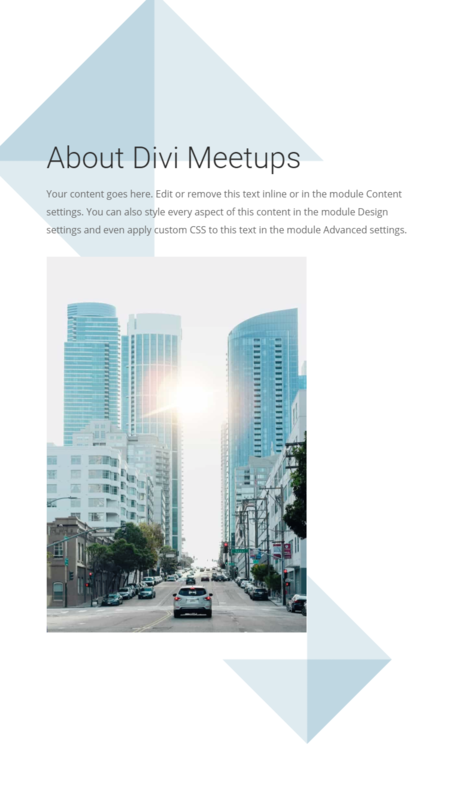 This can provide a unique background for you page content. 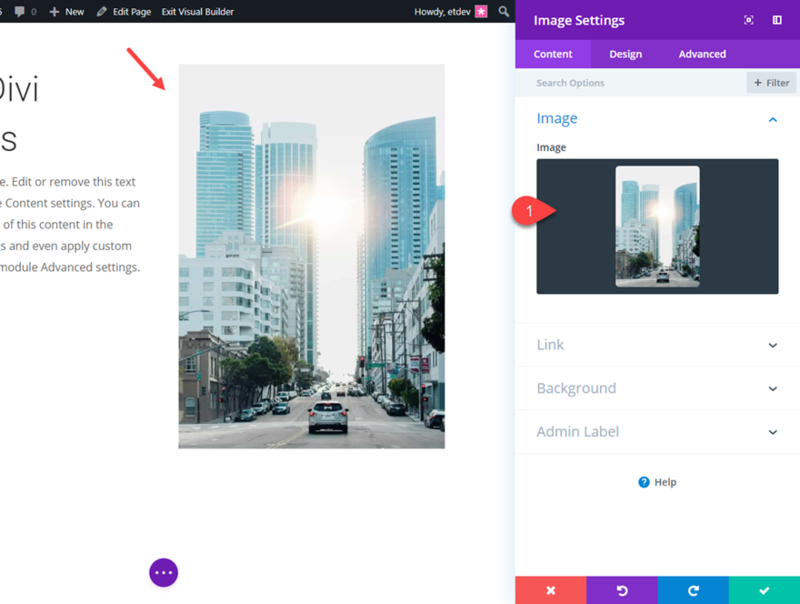 For this example, we can use the same section of content we created for the first example above. Go ahead and copy and paste the section at the bottom of the page. 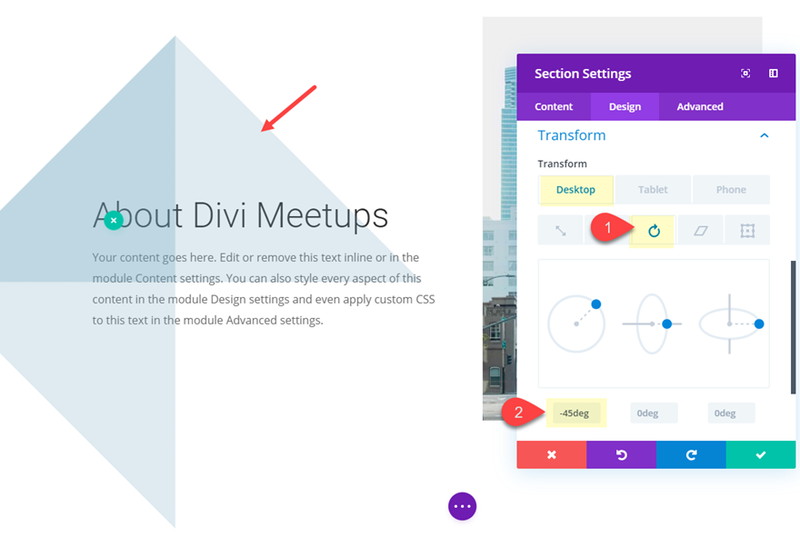 To create the horizontal section divider, first create a new regular section directly above the content section. 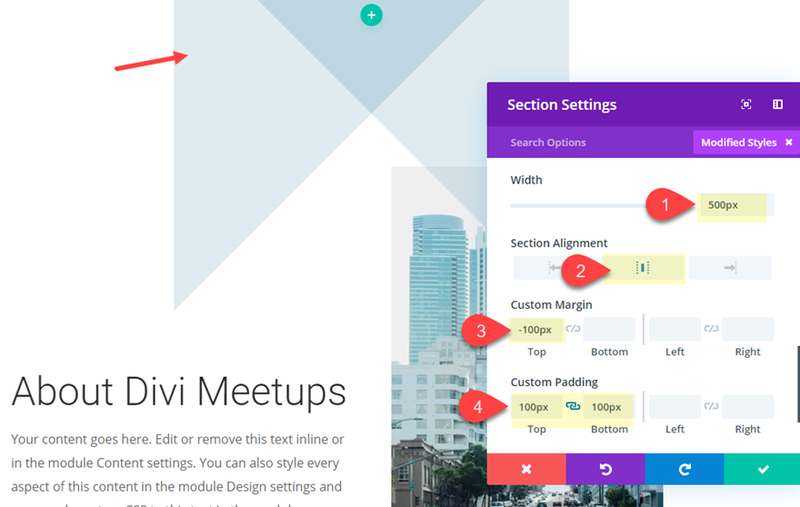 To make sure we can see the section divider on top of the section below it, we need to update the Z Index to 1. 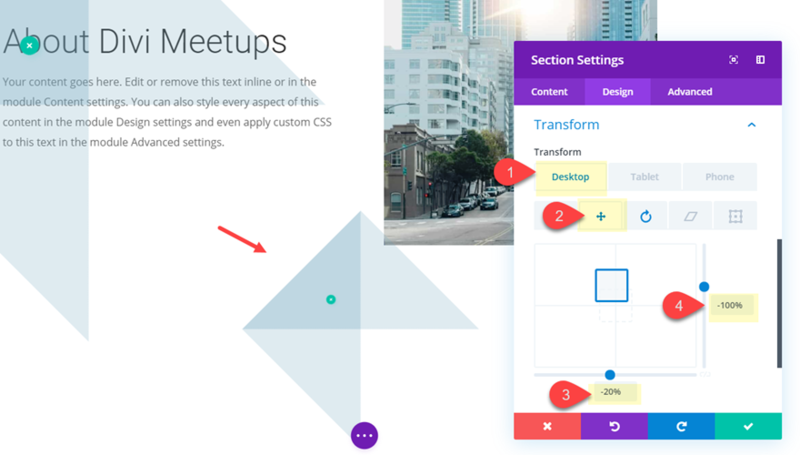 The width of the section (800px) will become the height of the section once it rotates to serve as a horizontal section divider. 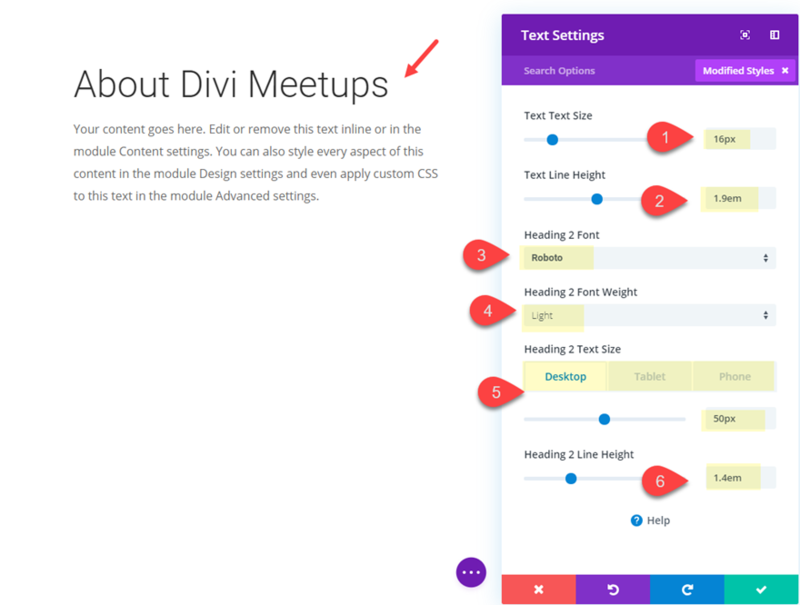 So you may need to adjust this height depending on the amount of content you have in the section below it. And here are a few more examples of different divider styles using the same layout. 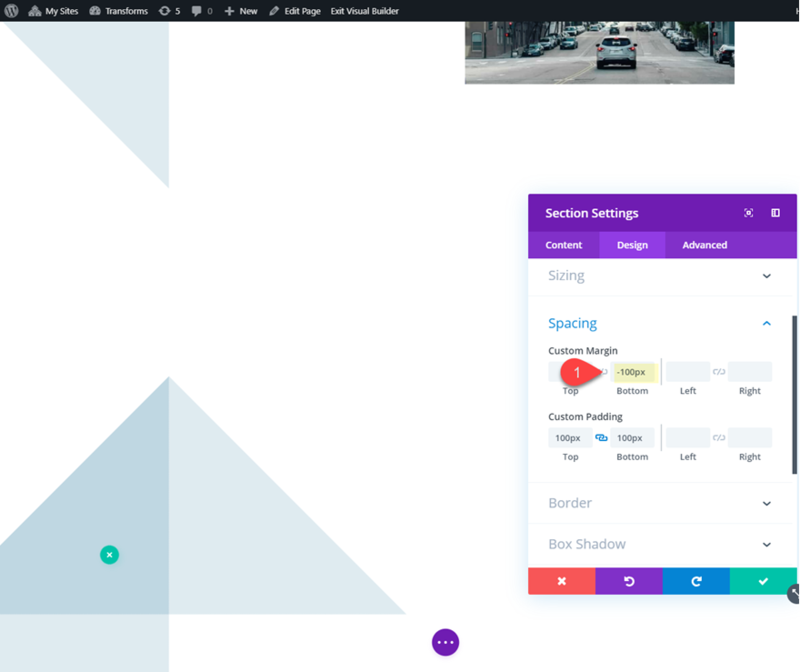 There is always room for more ideas on how to add unique design to your website. 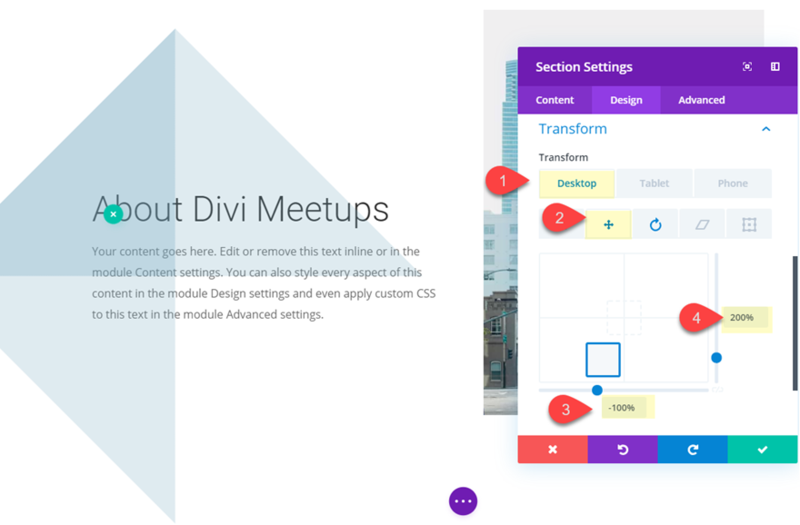 With Divi’s transform options and easy to design section dividers, you can do some pretty creative things. 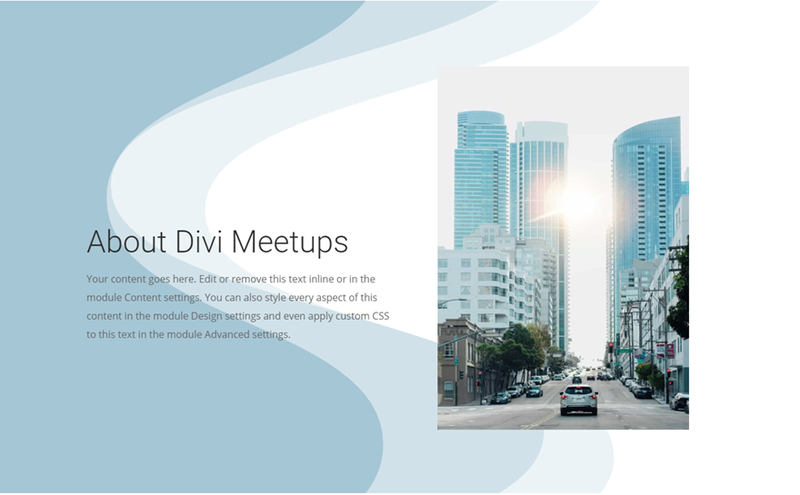 Hopefully, the examples in this tutorial will inspire you to create some section divider backgrounds to bring a fresh new spin on your next project. 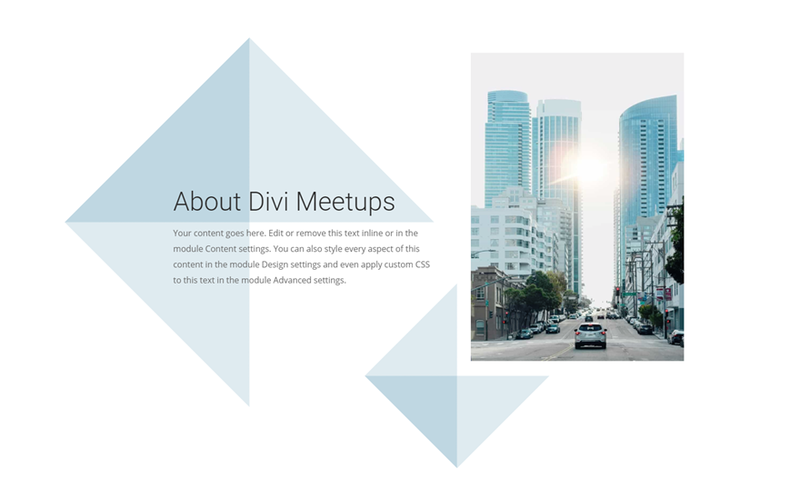 The post How to Use Transform Options to Design Unique Section Divider Backgrounds in Divi appeared first on Elegant Themes Blog .